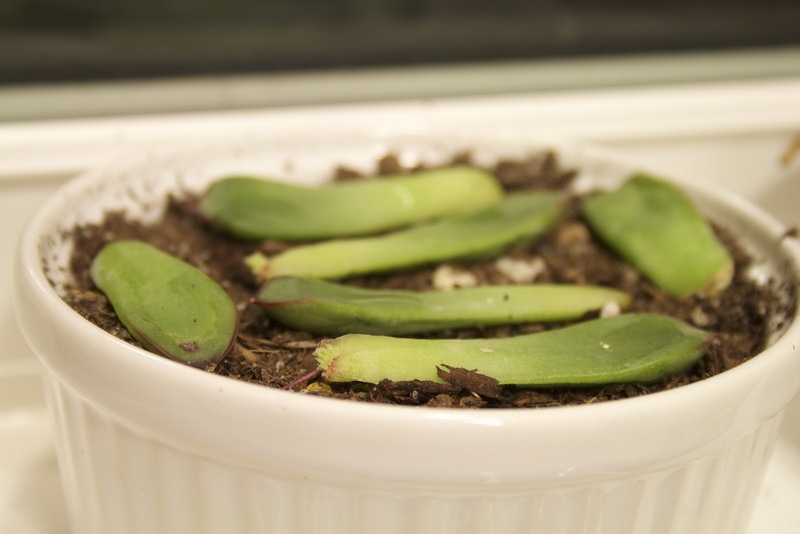 After reading this AMAZING blog post about succulent propagation, I decided to try my hand at making little succulent babies of my own! That was about 3 weeks ago, and I was starting to worry that the leaves I pulled from the Aeonium haworthii Echeveria pulidonis weren't going to sprout babies. If you don't pull them off close to the stem you leave off the portion that is capable of regenerating. I put the leaves on top of the soil and let them callous over on the ends. I would drip a few drops of water onto the soil every few days after washing my hands - literally a couple drops each. I guess I was thinking that I would trick them into thinking it was raining and it might be a nice time to put down new roots - no idea if this did anything at all, haha! I first started with leaf pieces, that didn't do anything. 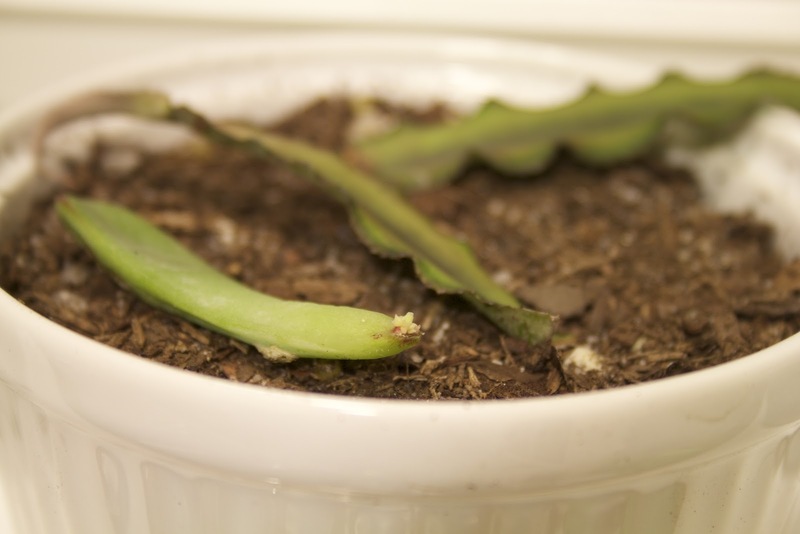 After doing more reading, this isn't surprising because the section of the leaf that is capable of reproducing new roots is on the very very base. 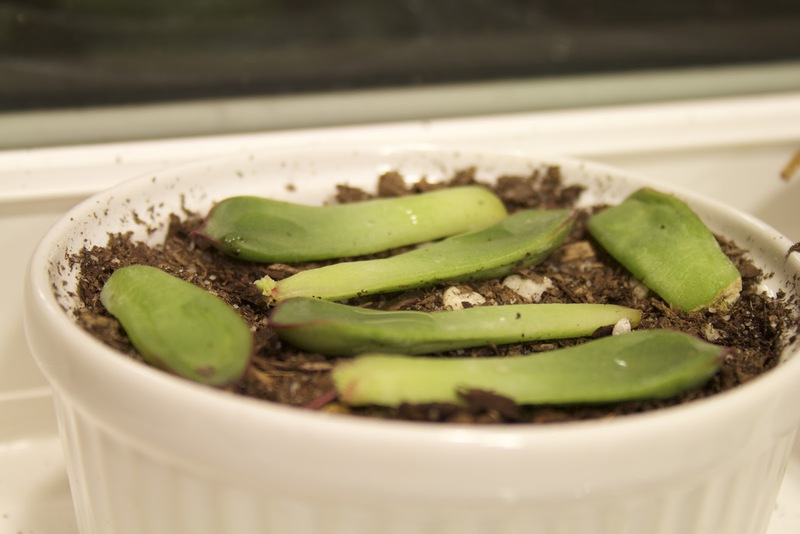 I took cuttings from each of the 4 succulent varieties and tried to propagate them as well. I realized that not all succulents reproduce from leaflets. So where are we now? After 3 weeks, here is some visible progress! In this last picture, notice the Cryptanthus bivittatus leaves that are just sitting there not doing anything. Yeah, I guess this technique doesn't work with them, so just ignore those! What about the paddle plant, the Kalanchoe thyrsiflora. Well the leaves didn't do anything after I pulled them off, they just dried up. 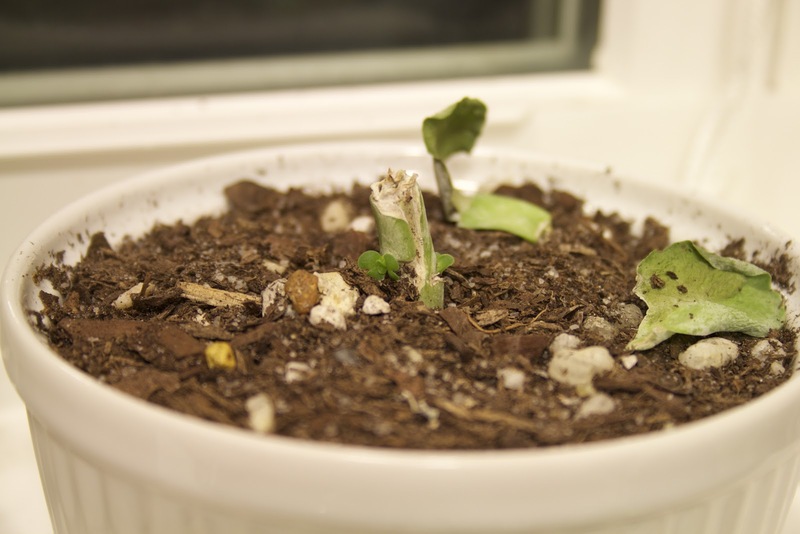 But the stump that was left behind did sprout some new leaves! I guess this type of succulent doesn't propagate from leaflets, but it looks like I could chop the stump into columns and get new plants from each. I'm encouraged by the progress! My husband Chris hates looking at these pieces of plants laying in ramekins on the windowsill, so the sooner they look like real plants the better!